If you’re busy and don’t have as much time to walk your dog as you’d like to, hiring a dog walker is a great idea. But how can you make sure you choose the right person to take care of your pooch when you’re not there? Your dog is a part of your family, so when it comes time to choose a dog walker for him or her, it’s a big deal! After all, you don’t want to leave your best furry friend with just anyone. Here are our top 10 questions you should ask to find the right dog walker for your dog. 1. Does your dog walker take your dog for walks, or do they just go to the off-leash park? When you’re hiring a dog walker to take care of your pooch, it’s important that you know exactly what you will be getting with that service. Will they take them on a walk around the block? Will they walk them and take them to an off-leash park? Will they just drive them to an off-leash park? Will they feed your dog, give them treats and clean up after them? Will they use training commands? Some dog walkers simply skip the walk and take your dog to an off-leash park. Be sure to bring this up with your dog walker in advance so you can be clear on if you want your furry friend taken to a dog park, or strictly taken on walks. 2. What areas are they walking around? A great question to ask who will be taking your dogs on walks is where will these walks take place? Toronto is a big, busy place and depending on your location and needs, you might want the walks to stay within a certain radius. And, if you don’t feel comfortable with your dog walker taking your dog for rides in the car to a further location, that is also something important to bring up. If they are going to be taking your dog in a vehicle though, you should ask how the dog will be restrained in the car. Are they going to use a dog seat belt or harness or is this something you will need to provide? 3. Are they dog CPR certified? Anything can happen, so it’s important that your dog walker be professionally trained in dog first aid and CPR. 4. How many dogs are in their group walks? If you feel like your dog needs individual attention, or would do well in a group setting, this is an important topic to bring up. While group walks can be a wonderful experience for some, others may be better off with one-on-one time. 5. How many years of experience do they have walking dogs professionally? 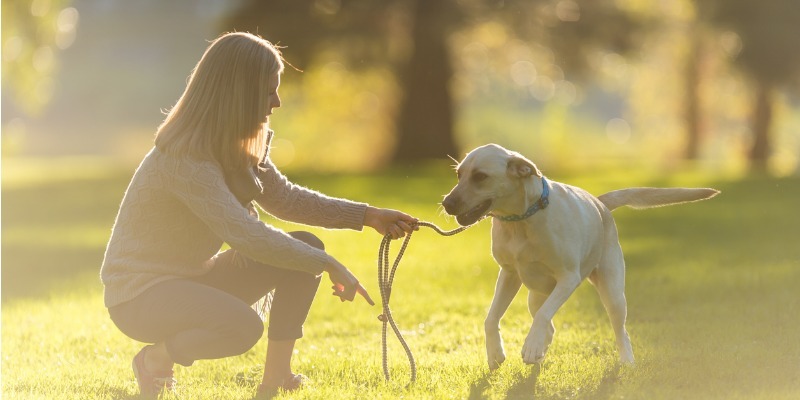 For your pooch’s well-being and safety, the dog walker you choose should have several years of experience and be very familiar with common dog behaviors and body language. 6. Are they versatile in the size and breed of the dogs? Your dog walker should be knowledgeable with all dog breeds and behaviours, because they all require very different care and attention. 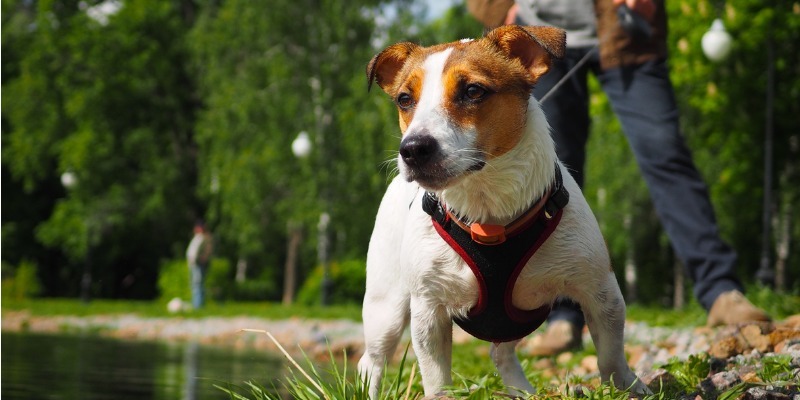 When you trust someone with your furry family member, you should rest assured that they are in the hands of a professional with great dog handling skills and a solid understanding of dog socialization and body language. 7. Are there specific time slots for the walks, and do they align with your schedule? Depending on your schedule, a dog walker may not always be available when it would be most convenient for you. For some, dog walking is a part-time gig, and may only be available during certain hours or days. An important thing to check is if your dog walker can be flexible with your busy schedule. 8. Does your dog walker also board dogs? If your job or lifestyle requires you to travel or work odd hours, dog boarding is a helpful resource to have, especially if it’s with someone you trust (like your dog walker!). When choosing a dog walker, ask if they also offer services like dog boarding or even house sitting. 9. Is the dog walker bonded and insured? One of the most important things you’ll want to know about your dog walker is if they’re legally bonded and insured. If your dog walker runs a legitimate business, they should have basic liability insurance. Even the most basic bonding and insurance protects you AND the dog walker in the event that something goes wrong. 10. What are their rates? Do their rates change during the holidays? Depending on your dog’s size or breed, your location, or the time of year, a dog walker’s rates may vary. And there may even be extra fees for additional services like taking your dog on a hike, to the park, on holidays, or for early morning walks. If you plan to hire a dog walker for an extended period of time, you may also want to discuss a package or monthly rate as well. Choosing a human to take care of your pooch while you’re at work is a big decision, and your friends at The Dog Market can help make it easy. Come into our shop in The Beaches and speak with a member of our pack! We’d be happy to help you find a paw-fessional dog walker in your area.